Anorexia and bulimia are difficult mental illnesses to deal with because the sufferer must learn to cope with a lifetime of food issues. Treatments for addictions to alcohol, drug use and gambling focus on eliminating the addictive substance or behavior. However, a healthy, non-restrictive relationship with food must be developed and maintained for the patient with anorexia or bulimia. Participation in an eating disorder support group is often essential for establishing and monitoring this healthy food relationship. Whether you are battling an eating disorder or you are a family member or friend of someone who struggles with anorexia or bulimia, look to those who have experience with what you are going through for assistance and advice. The hallmark of these eating disorders is an inability to maintain a healthy, stable relationship with food. Anorexia, also known as anorexia nervosa, involves a pathological fear of gaining weight. Anorexics severely restrict their caloric intake, which leads to extreme weight loss. Bulimia, or bulimia nervosa, is closely associated with anorexia because sufferers have similar fears about gaining weight. Bulimics, however, regularly binge on food and then try to prevent weight gain – usually through vomiting, excessive exercise, or abuse of laxatives and diuretics. People with bulimia are typically secretive about their binge eating and subsequent purging. Both anorexics and bulimics are likely to suffer from malnutrition. These life-threatening eating disorders are more about an inability to cope with emotional issues rather than exclusively about a need to lose weight or be thin. Patients often require both psychological and medical intervention to disrupt their destructive eating patterns. According to the National Association of Anorexia and Associated Disorders, up to 24 million individuals living in the United States suffer from an eating disorder. These mental health conditions include anorexia, bulimia and binge eating disorder. Patient population spans people of all ages and genders. In fact, approximately 2.7 percent of children between the ages of 13 and 17 are afflicted with one of these conditions, and girls are more than 2.5 times more likely to suffer from an eating disorder than boys, according to the NIMH. Only 10 percent of sufferers receive treatment, and only 35 percent of those receiving treatment work with a medical facility that specializes in patients with eating disorders. An eating disorder is a grave psychiatric condition that requires extensive professional treatment and ongoing, high-quality follow-up care. Patients with anorexia may become extremely thin to the point of emaciation and require careful medical monitoring. Prolonged emaciation leads to osteoporosis, anemia, severe constipation, low blood pressure, brittle hair and nails, and dry skin. In critical cases, eating disorders result in heart damage, slow respiration, brain damage, multi-organ damage and even death. 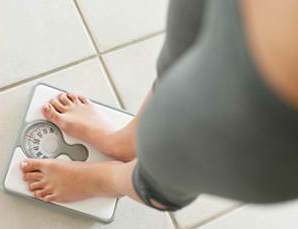 The National Institute of Mental Health reports that eating disorders have the highest death rate of any mental illness. The recovery of a person suffering from an eating disorder requires the support, and often the intervention, of family and friends. The family doctor is another good ally to assist with the process, but success ultimately depends upon treatment by professionals who are specifically trained in dealing with eating disorders. A psychologist, psychiatrist and staff members in a hospital are good sources to consult about treatment services available in your area. Support groups provide an additional opportunity to discuss and reinforce treatment and continued positive behaviors. Patients with eating disorders generally receive a combination of medical care and psychiatric treatment. These services include psychotherapy, medication, nutrition education, hospitalization and family counseling. Support groups provide an additional opportunity to discuss and reinforce treatment and continued positive behaviors. Many people who suffer from bulimia also exhibit signs of anorexia nervosa. Established in 1976, the National Association of Anorexia Nervosa and Associated Disorders is a non-profit organization dedicated to preventing and easing the consequences of eating disorders. According to the National Association of Anorexia Nervosa and Associated Disorders, a national network of free support groups exists, and each group is led by approved leaders or mental health professionals. Find out more about these groups by visiting the organization’s website. Your doctor or a reputable, licensed treatment facility is another excellent source for finding support groups in your area. Many hospitals contain branches that deal exclusively with eating disorder issues and treatment. Online support groups, chat rooms and forums are available to help those who are suffering from anorexia or bulimia. Groups exist for individuals with eating disorders who wish to converse with others who have experienced similar struggles. There are also groups for friends and family members of those who are afflicted. Groups may include a combination of patients, friends, family members and professionals who specialize in eating disorders. Be sure to read and understand the rules of any support group before you join. The road back to health is complicated for those who suffer from an eating disorder, but it is equally complex for loved ones. In order for patients to achieve health and success in the long run, long-term treatment and support are essential. An eating disorder support group provides a forum to discuss your concerns as a patient, as a person who is in recovery, or as a friend or family member. Regular maintenance of healthy eating patterns and thought processes in those who are recovering from eating disorders must continue long after the initial medical and psychological crisis has receded. Eating disorder support groups offer stability and encouragement to those who are caught up in the complexities of coping with such a condition. They provide vital support to a patient undergoing treatment or maintaining recovery from anorexia or bulimia. Eating disorder support groups for family members and friends offer a safe place to express frustration and gain insight into dealing with the effects of an eating disorder on a loved one. If you’d like more information on eating disorder support groups, don’t hesitate to contact us at .